It is a second winter in London and the elusive sun was reminding me of lovely summer tarts so I dug out some morello cherries from deep down in the freezer and whipped up a cherry frangipani tart (used up my almond meal too). Cut butter into small cubes and mix with the flour to get a crumbly mix. Add sugar and gently try to bring the dough together. Add a few tablespoons of cold water if needed. Cover and refrigerate the dough for 30 mins. Roll out the dough into a circle. Grease the tart pan and line it with the dough. Place a square of parchment paper on the pan and pour rice or kidney beans on it to blind bake the pie crust to prevent puffing up. Bake for 20 mins at 180C. Remove the parchment paper and bake for another 5 mins to get a nice golden crust. Beat the egg and cream it with butter and sugar. Add the flour and essence. Mix in the almond meal. Spread on the pie crust. Line the filling with cherries. You can use any other fruit you like but the cherries are a perfect balance of sour with the sweetness of frangipani filling. Bake for 20-25 mins. Let cool completely before cutting and serving. 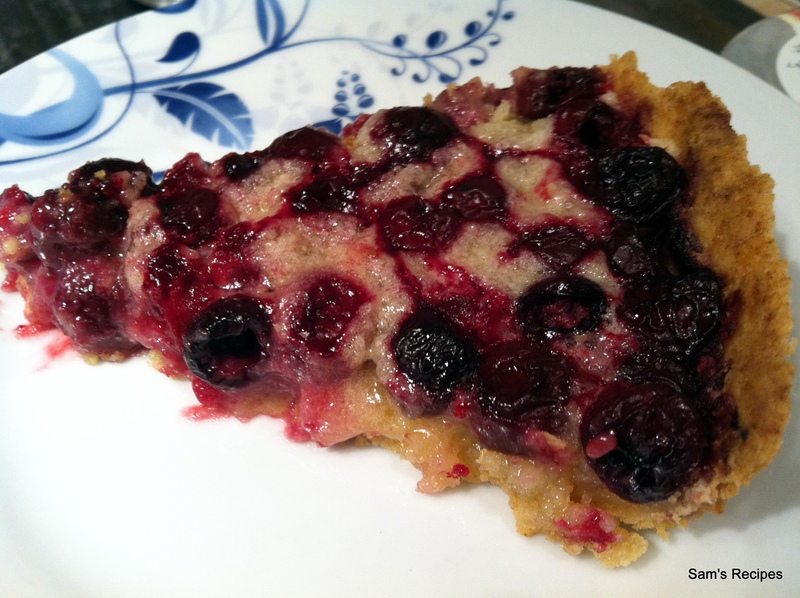 The original recipe in Daring Baker’s challenge called for a 9” tart pan for this Italian dessert but I did not have one. 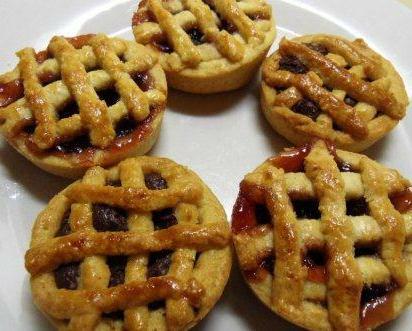 So I made mini-crostatas in silicon muffin tray. Good thing is everything was at hand. I had some Nutella chocolate spread also which came in handy. So I made a few mixes fruit jam and a few Nutella crostatas. 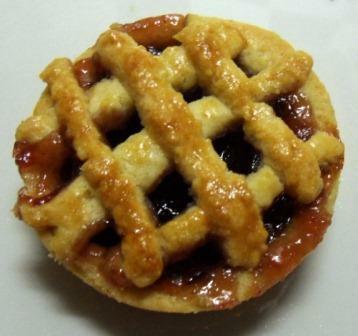 You can make a crostata with fruit preserves (traditional) or pastry cream or any other filling of your choice also. The main challenge is to make the pasta frolla or the shortcrust pastry for the crostata. I have adapted the recipe according which is presented below. The pastry is really soft and buttery and goes well for mini-crostatas. Mix flour, salt, sugar in a bowl. Make a well in the middle and add 1 egg and vanilla essence and mix well to get a crumbly mixture. Add the butter and mix slowly till the dough comes together. Make a tight ball and wrap in cling film. Freeze it for atleast two hours. Pre-heat the oven for 5 mins at 190C. Roll the pasta frolla on a properly dusted surface till it is 1 mm thick. Cut it into circles big enough to fit your tartlet pans so that about 1 cm of pastry dough is raised against the edges to form a bowl. Press the dough against the edges of the pan to remove any trapped air. Spread 2 tbsp jam or chocolate spread in the pastry dough in the pan. With the remaining pastry, cut small strips and form a lattice on the crostata. Beat the remaining egg and carefully spread it on the exposed pastry. Bake for 20 mins at 190C. Remove from oven and let cool completely before serving.